Wow it’s been a roller coaster! Probably the best year in my life so far (WOW! quite a statement and only just realised this as I’m writing!). It’s certainly been the busiest! I’d had a rough couple of years with loss and ill health as we all do from time to time – that’s life I guess – before I started Easypeasylemonsqueezy. The fact is, if it wasn’t for the bad times of those years I simply wouldn’t have a blog! BUT having my wonderful job as Director of LSIG, blended and balanced perfectly with blogging has made me realise this is what HAPPY is (quite a revelation – I’m sure we all have those what’s-it-all-about days!). This all happened very organically, blogging was never a plan, it just developed all on its own! It makes me feel very alive, it makes me excited again about what the future has to offer…. this can only be a good thing, surely! I share a good part of myself on-line – this is ok with me. There are, of course, things I keep private. Getting the balance right is important. The interaction is constant and relentless, but also lovely – to see people bake and cook and show you their family eating one of your recipes is wonderful. But for Easypeasylemonsqueezy, none of this is financially driven. Don’t get me wrong, it’s nice to get a paid/sponsored post sometimes or be asked to review products. However, maybe I’m a bit different and maybe that’s why I’m so passionate about my baby blog. I don’t need to make a living from this and I write about what I care about. I guess for me blogging could be described as finding a voice. It is my hobby – I already have a job I love! But I also know there are some fabulous pro bloggers out there doing an amazing job! I only write about what I want to, simple. This blog is mine, to do with what I like. It’s strange but I seem to immediately know what fits and what won’t fit the Easypeasylemonsqueezy brand – strange but true. 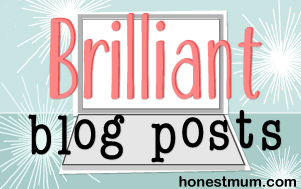 Having attended a lot of blogging events and connecting with a lot of fellow bloggers, you could say I’m a bit of an oldie (;-0) for this malarky, BUT I actually see that as a real benefit! There are not that many 40-something bloggers in my arena and those who are playing are really good! After all, at my age, I hopefully have a fair bit of life experience and have already made a lot of mistakes along the way. So I say DO IT, if you fancy having a go at blogging or anything new, just go for it! And if I can help or advise then I would be happy to. The blogging community is very supportive and there’s always someone to assist! Life has opened up in such a way. I seriously didn’t think I had time for anything else in my already hectic life. It just shows that you are NEVER too busy to do the things that you love. You can always make the time. The time for the things that make you truly happy are so important! So I have met the lovely Nancy Britwhistle, the lovely Adam Henson, I have attended blogging events, I have had cookery lessons, I have developed 103 new recipes, I have loads of cocktail recipes from the beautiful Jane. I have even stepped out into lifestyle posts. Day-to-day stuff, hopefully stuff that affects us all? I am a finalist in 2 blogging events – The Essex Digital Awards and The UK National Blog Awards 2016 – I am thrilled, totally shocked and very happy to be a finalist. I get to spend the night dressed up, eating & drinking with two very important people celebrating EPLS love! I can’t wait. Who knew? I’m not special, I am not super talented, I’m just a normal bird – trying VERY hard to make a lovely exciting life and now I feel I’m winning! One thing for sure is I never take myself too seriously, I have insecurities like everyone else, I’m just trying to’ let it go’ *sings*, accept who I am and stop being self-critical. Let’s face it, you only get one shot at it so why not give it your all! So please keep following and commenting. Who knows what’s in store good or bad. One thing’s for sure, I’ll try to keep laughing, what’s the alternative? I’ll let you know how the next 3M go. What a fab post Clare. I love your comment about social media, I thought I was the only one who felt like that? Tip top read Hun ❤️? ?